The “5G and Virtual Reality: Emerging Technologies, Solutions, Market Outlook and Forecasts 2018 – 2023” report has been added to ResearchAndMarkets.com’s offering. This report provides an in-depth assessment of the VR market. It evaluates both the pre-5G VR base market as well as post-5G commercialization driven adoption and usage. The report provides forecasting for VR by segments, applications, and regions including revenue forecasts. The report also forecasts VR shipment units and active users. The report also identifies VR market opportunities by industry vertical. The fifth generation (5G) of cellular communications will facilitate many benefits including significant latency reduction, which will enable many previously tethered-only applications and services such as streaming 4K video, real-time remote control, haptic communications, and more. This will be based largely upon unique capabilities enabled by 5G New Radio (5GNR) that will support Ultra-Reliable and Low-Latency Communication (URLLC) for both mission-critical services and latency-sensitive consumer services. Previously encumbered by a combination of technology gaps and consumer readiness issues, Virtual Reality (VR) is poised for considerable global growth, providing abundant opportunities for service providers, content developers, and ecosystem component providers. Coupled with the deployment of gigabit Ethernet fiber, 5G will transform the VR market, leading to a fully immersive experience with haptic capabilities becoming imbedded in many applications. 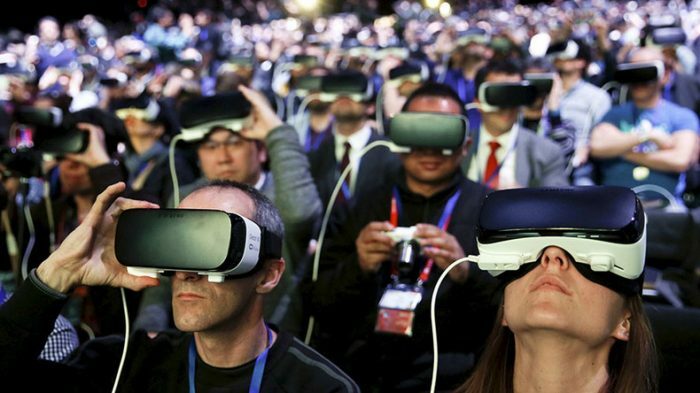 Mass adoption of full-featured, mobile supported, and fully immersive VR technologies will occur coincident with commercial deployment of 5G. The advent of mobile Edge Computing (MEC) is also anticipated to have a substantial impact on VR as MEC will provide much-needed computational optimization, especially for LTE only coverage areas and while roaming. Accordingly, VR is poised for considerable global growth, providing abundant opportunities for service providers, content developers, and ecosystem component providers.